In Illinois we get the extreme climate changes and freeze thaw cycles that break apart most paved surfaces. Just check out the roads this spring. The beauty of a having a brick paver patio or driveway is that as things expand and contract with hot and cold the interlocking surface remains somewhat flexible. After time you could see high or low spots but thankfully with brick pavers you can repair these areas without ugly patches or really any evidence the area was ever repaired. 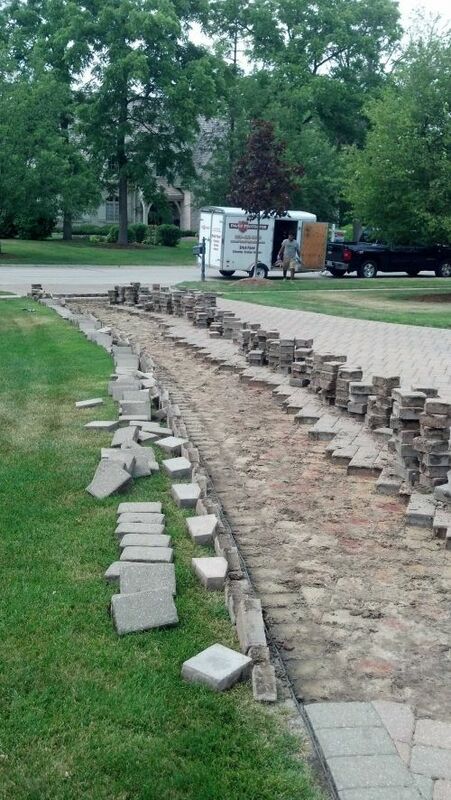 Paver Protector specializes in repairing brick paver driveways and patios in Northern IL. Take for example this brick driveway that had many areas affected by the seasonal changes and heavy SUV traffic for over 15 year. Some areas were low and rutted, some were high and some were spreading where turning cars pushed the pavers outward against failing edge restraints. 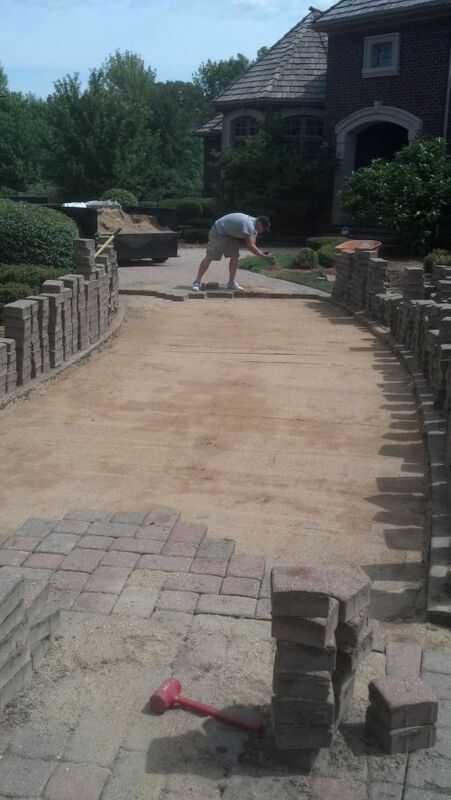 The Paver Protector Restoration crew removed these areas, reinforced the base and reset the brick paver driveway leaving a level and tight interlocking brick paver system that will hold up for years to come. If your brick driveway or patio needs releveling, repairs or restoration be sure to call the best in the industry at 630-488-0069 or submit a Request for Estimate. 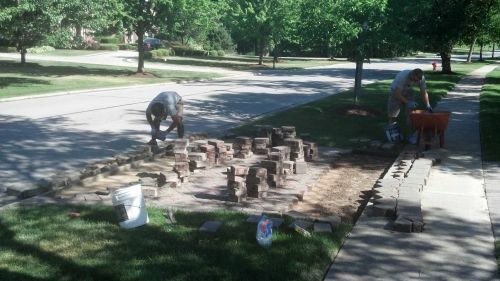 Paver Protector specializes in brick repairs and restorations in St. Charles, IL Barrington, IL Geneva, IL Inverness, IL Naperville, IL Oak Brook, IL Elgin, IL Huntley, IL Hinsdale, IL and most of Northern Illinois.